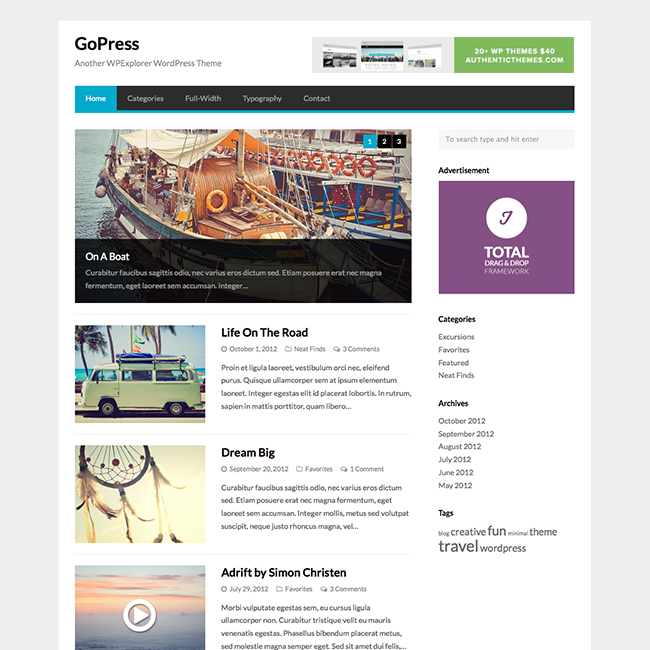 Whatever you choose, GoPress has all the great feature you know and love that come with any WordPress theme. And easy to use menu system, drag and drop widget areas, and the awesome WordPress Theme Customizer (where you change the background color, add a background image, change the copyright text and more). The theme includes a few options such as setting the main site logo, selecting your homepage slider featured category, editing the footer copyright info…etc. Simply go to Appearance > Customize > Theme Settings to make your edits.